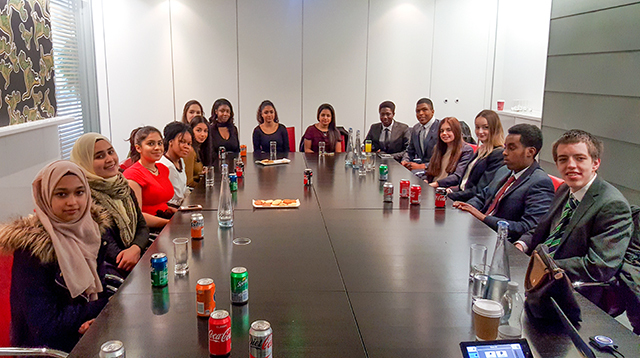 On Wednesday 8th February, our Career Ready students took a trip to IPG Mediabrands to learn about branding themselves by polishing up their CVs. "We were kindly welcomed by Sarah Mitchell and her co-workers at IPG, who spoke to us about CVs, personal statements and cover letters - to ensure they are fit for future purpose when applying for job positions, work experience and university. It was very useful leaning about how to format our CVs from people who had experience in recruitment, and they advised us to keep it concise, ensure our contact details are correct with an appropriate email, keep a consistent format and avoid any photos. My CV looks much more presentable and formal now. We were also shown exemplar copies of personal statements and cover letters which will be useful when we have to write them for university or any apprenticeships. Sarah also showed us some bad examples so we could clearly compare them and make sure we don't make the same mistakes. It was an incredibly informative day and Career Ready has yet again given me an opportunity to better my life skills through the IPG visit."